When I told my well-traveled friends that I’d be pursuing an adventurous road trip around New Zealand’s North Island, I received quite a few disappointed faces. “North? Why go North? All people ever talk about is the South Island!”. Don’t get me wrong – I was happy to have their input and wasn’t totally surprised by their reactions. The South Island, with its dramatic landscapes, abundant nature trails, and gorgeous mountain scenery, often gets a better rating from adventure-enthusiasts than the North Island. Given my time as a travel writer, however, I knew that there was plenty of amazing things to see and do on the North Island as well. My work also introduced me to Shore Rentals, a car rental company based in Auckland, who gave me tons of tips and sights to see while I cruised around the island. Now that I’m back home contemplating about my trip, I’m glad I didn’t let my friend’s comments get to me, because the North Island is gorgeous and sorely underrated! To cut the long story short, here’s the shortlist of some of my favorite sights I visited on the North Island. Coming from a landlocked area, I never miss a chance to enjoy some scuba diving. Wandering around the seas near New Zealand’s Poor Knights Islands definitely made it to my personal top five snorkeling experience ever. This place lies only 23 kilometers away from the coast of North Island and, thanks to its status as a protected natural reservation (in fact, this place is completely uninhabited for the past century or so! 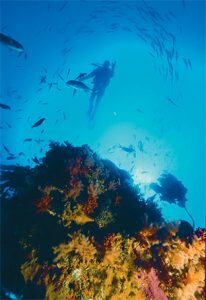 ), it offers beautifully unspoiled natural sights both under the sea and above it. In the summer have A Perfect Day snorkelling – my favourite day trip of all time! During my visit of Auckland, I knew I had to visit the green cone of volcanic origin towering above the country’s capital city – none other than Mount Eden. This is one of 48 small volcanoes dotted around the City. The entire isthmus with both Auckland’s harbors laid below me offered perfect conditions for taking some panoramic photographs. It took me only about ten minutes to reach this 196 meters high summit, but I spent quite a few hours absorbing all of its beauty. 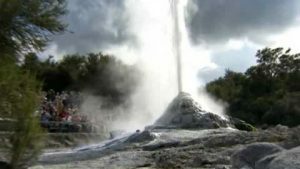 The most dynamic thermal area in the New Zealand offers a raw first-hand experience with the crude power of Mother Earth. Streaming hot springs, geysers splashing up to 30 meters above the ground, and the overpowering smell of sulphur in the air – for the big city kid like me, this was something completely new and totally mesmerizing. Seeing the beautiful Wai-O-Tapu hot springs (meaning “sacred waters” in the Maori language) with the dramatic fumes above its surface is one of my most treasured memories from this epic trip. 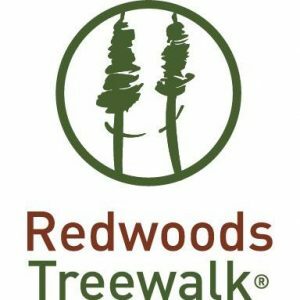 Almost 6,000 hectares of lush exotic forest known as Redwoods gave me an irresistible opportunity to experience the diverse variety of local nature. Its proximity to the Rotorua’s city center also make it a perfect day-trip. I saw families with small children and even elderly people enjoying their walks around this place, and it’s a sight I would definitely recommend to anyone. For me, the highlight of the forest is the great Treewalk. I highly suggest you go in the evening when the colorful lights create a truly stunning sight. 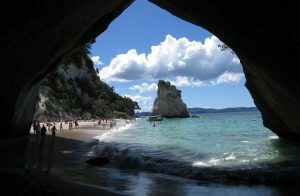 The Cathedral Cove must be one of the most picturesque places I’ve ever been to. This beautiful cave on the beach looks a bit like a postcard from Thailand and is accessible only by foot or boat. This preserves its cleanness and peacefulness – though being only a short drive away from the nearby famous Hot Water Beach attraction, the crowd was reasonably small during my visit, which allowed me to take some of my most cherished pictures from my holiday. 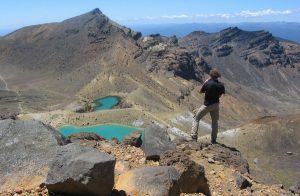 Tongariro is proud to be the oldest national park in the country. Spreading over 796 square kilometers, it offers enough attractions to spend a whole month there. Unfortunately, I had only single day, but I made the most of it. If mountains are your thing, this place has everything you might hope for! Extreme sports, gentle walks, demanding hikes, even traditional Maori cultural events can be found here. I chose the Tongariro Alpine Crossing circuit which took me around 7 hours and allowed me to experience some of the most unique countryside I have ever seen. If someone showed me this place and told me it was Mars, I would probably believe them!